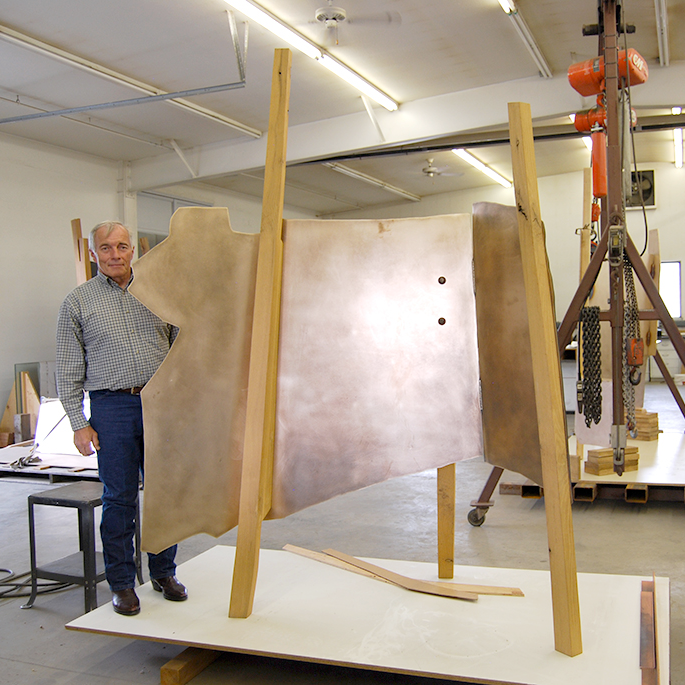 Brungard has spent his life exploring the relationship of the abstract with reality, and experimenting with various industrial materials to make tangible the intangible. As a sculptor he captures the dynamics of human relationships, dynamics that result in feelings of connectedness. Central to his work is the capturing of implied, often veiled, emotions that form the foundation of relationships. Implicit is an invitation to step into the same physical space occupied by his sculptures so as to awaken feelings within and cause the viewer to wonder from whence they came.